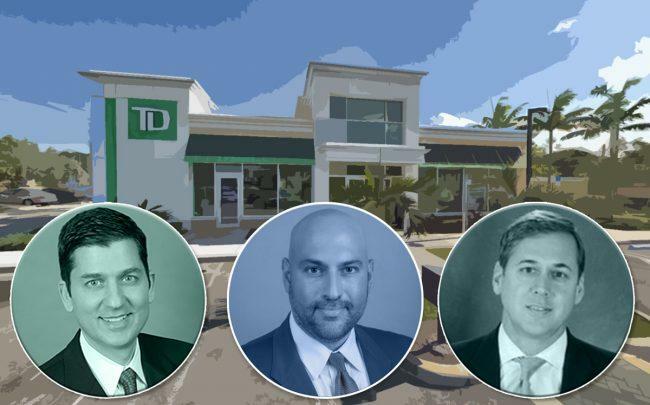 Baskir Capital Management bought a TD Bank branch in North Miami Beach for $6.6 million amid increasing investor interest in the area. The New York-based real estate firm bought the 4,676-square-foot property at 1190 Northeast 163rd Street for $1,411 per square foot, records show. A company tied to Aventura-based Elion Partners sold the property. The bank sits on a nearly 1-acre lot, across the street from the Mall at 163rd Street where tenants include The Home Depot, Marshalls, Ross, and a Wal-Mart Supercenter. Alex Zylberglait of Marcus & Millichap represented the seller. The buyer was represented by Marcus & Millichap’s Alejandro D’Alba and Scott Sandelin. The property sits just outside a designated Opportunity Zone. Investors and developers who invest in Opportunity Zones are potentially able to forgo or defer capital gains taxes. Proponents of the program believe that development will explode in Opportunity Zones, especially in already up-and-coming areas such as North Miami Beach. Baskir Capital Management, led by Turkish investor Cengiz Baskir, buys single-tenant type assets nationally. In June, Baskir Capital Management paid $15.25 million for a retail building in Miami Beach’s South-of-Fifth neighborhood, leased to the Brazilian steakhouse Fogo de Chao. Aventura-based Elion Partners has $2 billion assets and was founded in 2010 by Jack Azout, Shlomo Khoudari, Sylvain Argy and Juan DeAngulo. TD Bank has a 25-year ground lease with about 18 years remaining. The lease includes four five-year options with 10 percent rent increases every five years, according to LoopNet. The bank branch was built in 2012. Unlike nearby Miami Beach, which has seen a wave of new luxury condos and hotels over the past decade, North Miami Beach has seen minimal new development and large pockets of the city remain economically distressed. Over the past few years, developers are starting to buy properties in the area after the city allowed more residential development. Last year, the North Miami Beach City Commission approved a 2.5-million-square-foot mixed-use project to be built on an 18-acre site that North Miami Beach officials call the TECO Gas Site.